KUWAIT CITY, July 22: Official spokesperson of Ministry of Health Dr Ahmad Al-Shatti denied the reports that went viral on social media and some websites about the arrest of a gang that manipulated the medical tests of expatriates. On Twitter, he affirmed that he contacted several senior officials of Ministry of Health to ask about the arrest but they all denied having any knowledge about the incident. Dr Al-Shatti urged the public to avoid following such propaganda, and to search for the source of the rumors or confirm with the incharge officials to know the truth. It is worth mentioning that rumors were circulating on the Internet especially social media that Ministry of Health caught a gang that is specialized in falsifying the results of expatriates’ medical tests. 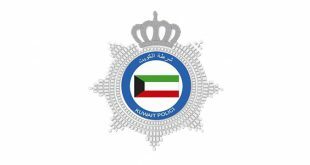 Workers maligned: An officer and a female employee in Ahmadi Immigration Department have accused a Syrian of misusing his mobile phone and maligning them at the workplace, reports Al-Rai daily. According to a source, the Syrian went to the department to register his newborn baby, during which he had an argument with the officer about the legal procedures because the baby was born eight months ago. The Syrian later got his mobile phone and took photos and a video of the officer while he was talking to a female employee regarding work. 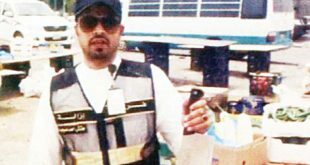 He sent the video to an official in the department to show the negligence of the staff who, he claimed, wasted their working hours by talking without paying attention to the clients and their transactions. The source added the official asked the accused who denied the Syrian’s allegations. Police will summon the Syrian for questioning and other legal measures. 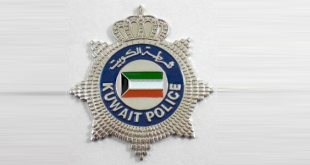 Ex-husband’s revenge: A 30-yearold Kuwaiti woman lodged a complaint at Rumaithiya Police Station against her ex-husband who allegedly damaged her car deliberately by using spray paint, reports Al- Anba daily. In her complaint, the woman disclosed she got divorced recently and her ex-husband attempted to take revenge many times but failed. While having dinner with her friends at a restaurant, her exhusband followed her, sprayed her car with paint and then fl ed from the scene, the woman narrated. She added the restaurant’s guard informed her about the incident.